Here's a movie made by Mikaiah and Christian illustrating something about empathy. Mikaiah And Christian Empathy Movie from Team 5 PES on Vimeo. This is a video made by Mele and Ana. It is showing one of our questions from our weekly questions. I hope you enjoy it. First game. I started first at batting for my team “Batter up,” said the umpire so I walked up to the plate and got ready for the pitcher to pitch the ball. First ball went up, second ball went up, third ball went low then the fourth ball went up so that was 4 balls and 0 strikes. I had to take the walk to base 1. Next batter for our team came up to the plate. Ball one, I steal a base to base 2. Ball 2 I take another steal to third base. Waiting, waiting then BANG the ball went flying down the field. I ran home and my friend got a home run. That was 2 home runs no outs for my team. Unfortunately a few minutes later “Side away,” We had to swap sides and go fielding. Strike 1: Whack the ball went rolling then our pitcher got the ball and threw it to me getting the person out. At the end of the game we won 10 to 0. Our second game we won 10 to 1. Our third game was the semifinals and we were playing Parnell school. I started first again. I waited for a good pitch then BANG the ball went flying down field and I got a home run. We won that game 11 to 1. We made it to the finals and we were going to play against Sylvia Park. They were the hardest team in the competition. We had to bring our A game. We started of batting so I got the bat off the ground and walked up to the plate. I thought to myself, "If we get a good hit on the ball we will win." Strike one no balls. Second up ball one. Third, I hit the ball and it went rolling on the ground past 3 or 4 people so I ran as fast as I could run. I ran from base one to base two to base three then ran it all the way home. The next batter got out then the next one after him got out too. One more batter left. He hit the ball down the field and got a home run too. At the end of the game we lost 2 to 7 or 8 We came second placing for the Eastern Zones tournament. Empathy what does it mean? At first I thought that Empathy means the same as sympathy but after doing some research I found out that Empathy means being a good friend, trying hard to understand another person's feelings and emotions, and being able to recognise what they have been through. In our school we have a number of morals and one of them is, "Put Yourself in Their Shoes." Empathy is exactly like that moral. If somebody is alone, (at school, outside of school or just anywhere) make them feel comfortable. Just like most people say, 'Treat people like you wanted to be treated'. What can I do to show me being empathetic? Empathy won't tend to work it you just stand there staring at a lonely person. No! You have to put your words in. Say 'Hello' take that person and play with them. Empathy just won't work if all you tend do is gossip and stare at the lonely person. Your mouth was made for good things to come out of it. So if anyone is lonely imagine what would like to be that person, you wouldn't want to be like that so be kind and be a good friend. And that is an example of what empathy is! Treaty Of Waitangi Movies by Class 4. Class 4 has been looking at seeing events and situations from other people's perspectives, or in other words "Putting Yourself in Their Shoes"
They looked at what the 'Treaty of Waitang'i meant to different people at that time and made movies to show these different perspectives. Here are some of the movies, the first one is from the perspective of a trader, the second from the perspective of Hone Heke's niece, the third from a Maori chief and the last one from the perspective of a settler. Mya, Dhara, Ashlee, and Sapphire. At Point England Primary/Intermediate we have values and our title for them is called the Point England Way. We have them at Point England School so that we can learn better and be a good school and community. The purpose of it is to help each other get on better and to love and care for one another. The Values are for our attitude our self-being and our knowledge. We started to do the Point England Way approximately thirteen years ago. Alot of these values are said in assemblies and are called korero. Each value or korero has come across being in assembly more than 5 times for the past thirteen years. We have a quiz to help us remember them each time we remember it we go on to the stage and say it to the school. We also get a principal's award. The Point England Way affects our learning because it helps us to get up and have positive attitude in all our subjects. Don't get me wrong it also helps us at morning tea and lunch. It helps us with sports and other activities. The Point England Way isn't always for school it is for outside of school too. Even though we're not in school we still have to represent the Point England Way to the community. Some of the koreros are Tiaki Taonga, Kia Pai Te Kotahi, Purua To Potai. These are our koreros that are translated in Maori and if you don’t know what they mean I will tell you. Tiaki Taonga means to care, for our family community our learning and most of all our school. Kia Pai Te Kotahi means that it is better together. Last but not least is Purua To Potai which means to put your hat on. There are plenty more koreros but I thought that those three should be enough. How does the Point England Way helps me? The Point England Way helps me when I am at home, school and anywhere. It also helps me when at sports trainings. I am really sure that if anybody learnt the Point England Way it would help them have a great attitude, relate well with others and strive to succeed. 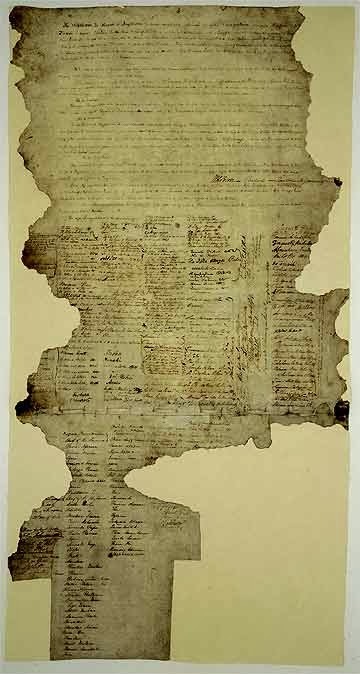 On the 6th of February 1840 in Waitangi, in the Bay of Islands there was a treaty being signed. It was between the Maori people and the British people. There had been British settlers staying New Zealand for some time, but unfortunately some of the immigrants started to act badly. This agreement was made to solve all of their problems and make more peace in the land of New Zealand. The treaty was written in two different languages which meant two different meanings. When the British signed it, they thought that they would be the leaders over the land. But when the Maori signed, they thought that they were the ones who were going to have power. There was a lot of misunderstanding between the two cultures which lead to wars. The treaty was written by James Busby, a British representative of the queen and was translated by missionary, John Williams and his son. There were lots of Maori chiefs who didn’t want to sign it, but were convinced and eventually signed. There were three parts to the treaty, Protection, Partnership and Participation. Those three P’s are still characters today in our lives at school and everywhere else. Bye. We will miss you. Good luck for 2014 at college.